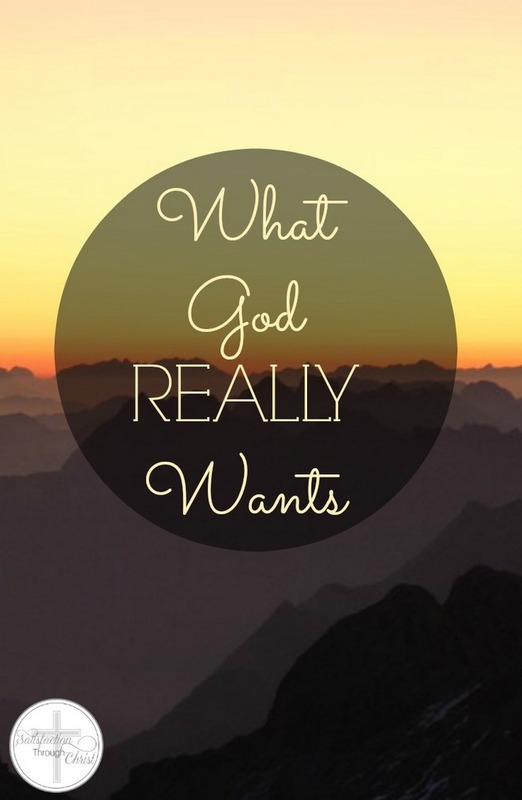 This phrase from God’s Word shows us much about His heart and His true desire for His people. He wants us to obey Him. We know this. Most of us would readily admit that the One who created us owns us. And when humankind audaciously turned our backs on Him, declaring Him our enemy, He bought us back with the blood of His precious Son. We call Him Master; we call Him Lord. God is in charge and He has a right to call the shots. But I can’t help but wonder what my actions say. Because all too often, I suspect I’d rather concoct this or that sacrifice to appease Him than I would simply obey Him in the first place. Okay, so maybe I haven’t murdered anyone lately. Or committed adultery. But guess what? Neither did Saul. Pretty clear instructions, right? And Saul obeyed. Did you catch that? They kept the best stuff and destroyed the rest. Instead of following God’s instructions and destroying everything, they “leaned on their own understanding” (Proverbs 3:6) in just the most minor of ways. I might’ve done the same thing. I mean, really, why destroy the good stuff? The valuable stuff? We can show those Amalekites who’s boss without destroying everything. He goes on to describe Saul’s actions as evil, rebellious, presumptuous, iniquitous, and idolatrous. Really? All that fuss over just a little bit of partial obedience? But the thing is, all too often, we don’t see our disobedience the way God does. Because here’s the truth: anything less than complete obedience sends a message, loud and clear, that I know better than God. Hmm. It seems describing it as “evil, rebellious, presumptuous, iniquitous, and idolatrous” is just about right. And so, under the Holy Spirit’s guidance, I’ve been gauging my level of obedience lately. Am I loving my enemies? Not just in a barely-tolerating-and-refraining-from-punching kind of way. I’m talking about a go-out-of-my-way-to-show-lavish-love kind of way. Am I caring for orphans and widows? How about the poor and oppressed? Or do I prefer to not think about problems that are too big for me to solve? Do I give generously to those in need? Or do I give as little as I can before my conscience protests? Do I flee youthful lusts? Or do I see how close I can get without being burned? May God grant us a greater awareness of even the smallest areas of disobedience, and give us hearts that desire to obey Him fully! Lord, I confess that I’ve been only obeying partially in some things. I’ve allowed my judgment to supersede yours, and I see now what an atrocious sin that is in Your sight. Please grant me eyes unblinded to my sin and opened to Your standard of holiness. I can only aspire to Your standard by Your grace, through faith in Your Son. Thank you for His sacrifice, saving me from the penalty of sin, and from its power. Amen. MMMmmm, good, but convicting stuff. Partial obedience is still disobedience. I’m with you, Jennifer. I am definitely not as obedient as I should be, or want to be. Thanks for the reminder. Grace and peace to you. Thanks for reading, Leah, and for identifying with my heart in this. God bless you and your critical ministry! Oh wow great reminder! It’s so true. Trusting and obeying God. It’s a daily renewal. Thank you for the encouragement. Thanks for reading, Starla! I’m glad this post resonated with you. This is good. I couldn’t help thinking about my kids, who sometimes try and do a more preferred job, rather than the one they were assigned. But it’s not just my kids who do this, I do too. God wants complete obedience. Thank you for this good reminder. You’re right, Dawn. This behavior is easy to spot in our kids, isn’t it? It’s so gracious of God to point out the same attitude in our own hearts. Great verse! So very true. Obeying the first time is always the best & easiest in the end. Too often we doubt God and think we know best. Thanks so much for this. Very convicting but a great reminder. So good, Jennifer. Right along with partial obedience, slow obedience is no obedience. This spoke to my heart tonight. Thank you for sharing!